(piano, concertina, banjo, foot percussion, vocals) Aaron draws on a rich background of musical traditions including New England contra, classical piano, English country dance, West African, and old time.Well known throughout the Northeast for their performances with Giant Robot Dance, Gift of the Marcii, and The Turning Stile, Aaron brings exuberant energy to Frost and Fire whether they’re vamping on piano or clogging while playing tunes on concertina. Aaron divides their time between Hancock, VT and Montpelier, VT, where they work as an endangered-species botanist. (flute, bagpipes, whistle, guitar, mandolin, vocals) Hollis grew up listening to a mixture of classical, folk, blues, jazz, and Celtic music, and that background informs his playing today. 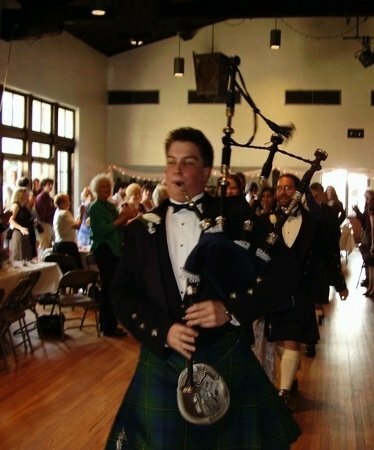 Classically trained in opera, choral performance, trumpet, and musical theater, Hollis brings a quick wit, an easy grin, and a strong melodic line to Frost and Fire.He won a British championship title with Lomond & Clyde Pipe Band and was Pipe Major of the National Youth Pipe Band of Scotland for several international tours. He has played with Carlos Nuñez, Susie Petrov, Laura Cortese, and The Chieftains. Hollis lives in Burlington, VT, where he teaches music, works as a business and life coach, and writes articles on related topics. 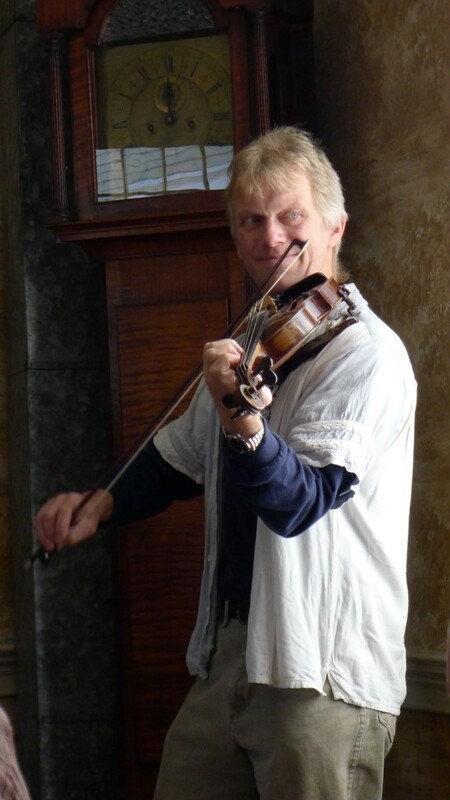 (fiddle, low whistle, vocals) Peter developed his characteristic Scottish fiddle style growing up in the United Kingdom, where he played regularly for Scottish dances and weddings. 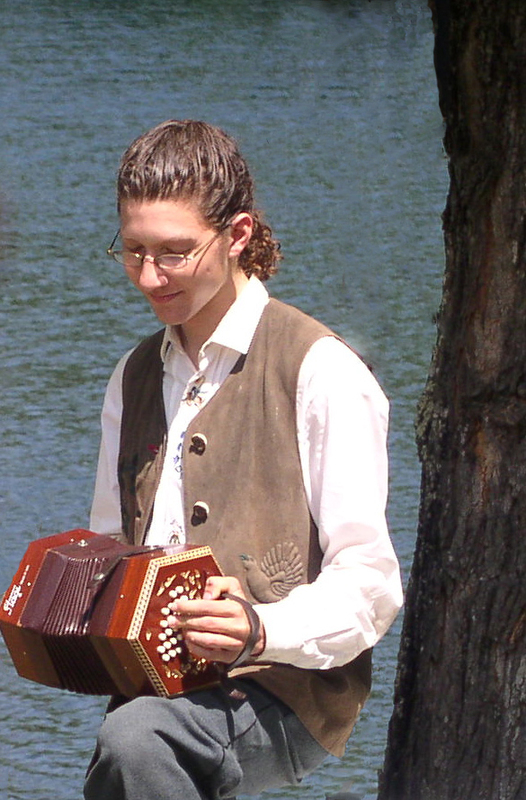 He organized and led the Aylesbury Fiddle Rally for 10 years, and he has published original tunebooks and recorded music for Scottish country dancing.Peter brings powerful rhythmic drive and soaring melodic lines to Frost and Fire’s sound. Peter lives in Addison, VT, where he teaches fiddle, plays with Atlantic Crossing, and builds custom cedar-strip canoes. (fiddle, bodhran, djembe) Viveka grew up playing the music of the British isles alongside that of North America, and her music fuses a variety of styles, with a particular fondness for Cape Breton. 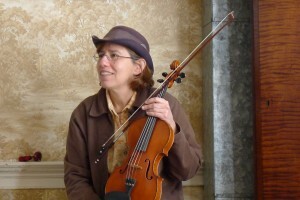 Viveka has anchored the fiddle section of Atlantic Crossing since 1993, and her smiling face–nearly always topped with a dashing hat–is well known anywhere contra dancers are found.Viveka spins out tune after tune with ease, and her bodhran always earns whoops from the dance floor. Viveka is also a nationally-known fencing coach, and her trophies line the walls at her home in Addison, VT. Frost and Fire began taking shape in July 2010 at the Champlain Valley Folk Festival in Burlington, VT. Viveka and Peter invited Aaron and Hollis to join them on stage, and as the dancers whirled and cheered, their shared energy kindled this new collaboration. As winter swept across the North, we stayed in touch, thinking about tunes and new directions. Fast forward to the blazing summer heat of 2011, which found us on stage making music drawn from all points of the compass, our faces lit with joy and laughter, surrounded by dancers aflame with energy. At the band’s first gig in Rochester, VT, the dancing ran long into the evening–neither dancers nor band were ready for the music to stop. We look forward to sharing music with you.